Work has been labor intensive the past few months, so I've been neglecting my blogs. 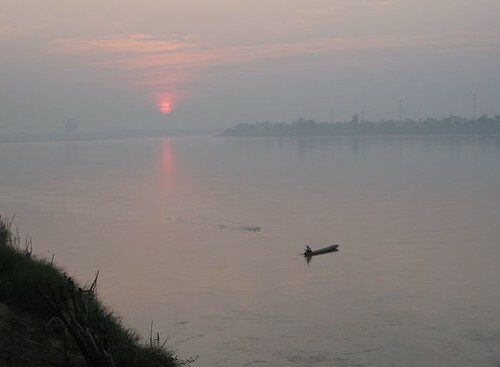 Misty morning on the Mekong River on 11 December. It's cool and dry season now, meaning fog in the early mornings and usually clear afternoons. 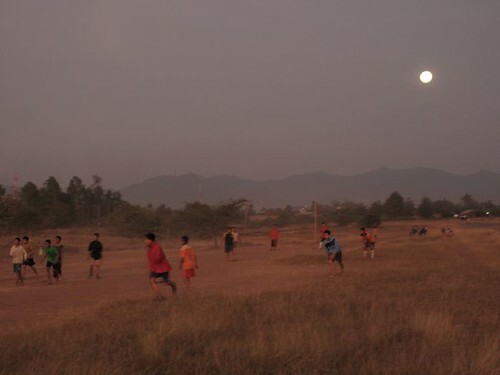 People playing football the night of the full moon in December. 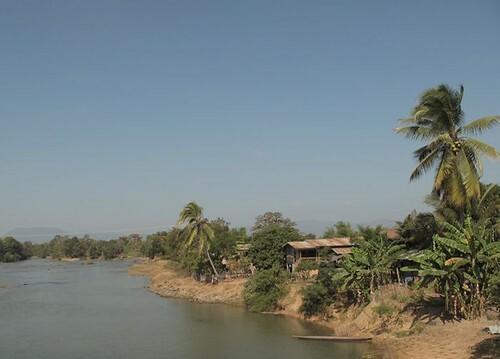 The Xaisett River on 14 December - we were driving back from Salavan to Vientiane. 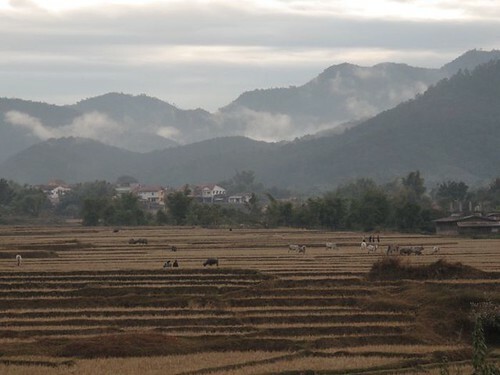 Dry rice fields in Phonsavanh, Xieng Khouang Province. This picture was taken on Christmas Day. 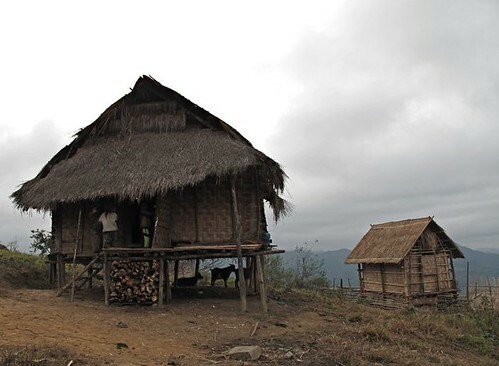 It's along a ridge in the mountains in northern Xieng Khouang province. The family who owns the house is very poor - we helped them after two members were injured in a cluster bomb explosion when they were cooking over a fire which ignited a cluster bomb buried in the ground. We invited the families to attend an animal raising training that we'll be starting tomorrow. After which, we'll give grants so they can buy animals and slowly but surely generate some more funds to improve their lives. Very beautiful photographs. Tragic news about the people injured by the cluster bombs. Great pictures!Very interesting to see.I agree with Yogi´s comment. Chanpheng: Those a beautiful scenic shots for SWF, thanks for sharing. Lovely shots! There is some really nice landscape in your neck of the woods. Great shots, amazing nature. I am sorry for those people, hope they will have better life in future. a great series of shots...and i so enjoyed them. greetings from beautiful botetourt county virginia.